“How to Heal Thyroid With Foods” is a guest post by Magdalena Wszelaki of Thyroid Diet Coach. She is a holistic practitioner who specializes in thyroid treatments that address the underlying causes of thyroid problems. 20 million American people, mostly women, suffer from thyroid related diseases. Out of these 20 million only 50% have been diagnosed. This means there are about 10 million of us who might be undiagnosed and misdiagnosed. This results in an ongoing struggle with unexplained weight gain, fatigue, depression and infertility. Today’s medicine answer to thyroid diseases is to either nuke the thyroid (for hyperthyroidism) or prescribe synthetic hormone replacement drugs like Synthroid (for hypothyroidism). For too many of us these “treatments” do not help to recover and do not make us feel at our optimal health. Here is why: most thyroid conditions fall into the category of autoimmune conditions – it means that the immune system starts to attack the thyroid gland, mistaking it for an enemy and a foreign object. This means that if you are suffering from a thyroid condition you most likely have an autoimmune disease when nothing is wrong with your thyroid. This is why today’s medical practices do not work for many people – doctors address the thyroid (which is not the problem) and not the immune system which is the cause of our health challenges in the first place. Doctors shy away from explaining this to patients as Western medicine today has nothing to offer a patient with an autoimmune disorder. However, there is hope. And there are recovery stories and successes of those who take an alternative path to health and heal thyroid with foods. The answer is: your nutrition. Hippocrates, the father of Western Medicine, said: “All diseases start in the gut.” Our gut, or the digestive system, is sacred to our health as it is also the home to our immune system. Our small intestine is the host of gut-associated lymphoid tissue (GALT in short) which is where the immune system lives. Not surprisingly, most people with thyroid and autoimmune conditions also experience digestive challenges. These may occur in the form of chronic bloating, constipation, gas, acid reflux and digestive pain. Each of these digestive symptoms puts incredible pressure on the immune system to function properly. I would like to share with you the following infographic that gives you some statistical data related to thyroid disease, list of hypothyroid symptoms, current treatments and how to heal thyroid with foods. When we change the way we eat, the digestive tract recovers. The immune system stabilizes and the attack on the thyroid seizes. The thyroid gets a chance to revive itself (the degree and speed depend on the person’s health history). By doing so, the symptoms subside or completely go away. This is the approach we stand for – addressing the root cause of your thyroid condition. Synthroid, methimazole and radioactive treatments do NOT address the root of thyroid problems. Food does. Give it a chance. It’s well worth it. Magdalena Wszelaki is a Thyroid Diet Coach who specializes in treatment of thyroid conditions using the power of foods. 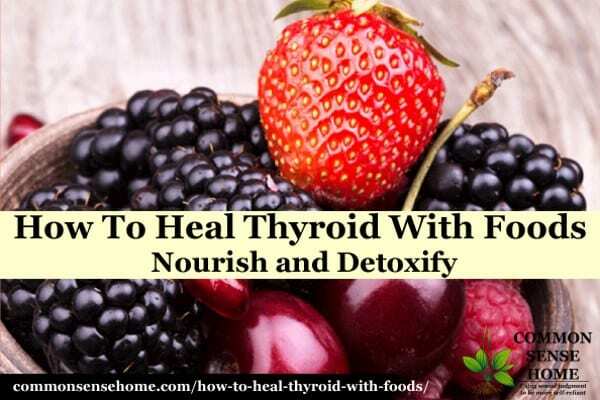 She successfully reversed her autoimmune thyroid disease and helped hundreds of people to heal their thyroid with foods. How food can reverse weight gain, depression and fatigue. Disclaimer: I am an affiliate of Magdelena. This means I receive a portion of any sales from this site at no extra cost to you. As some of you may know, I have Hashimoto's Thyroiditis. Until I was diagnosed, I didn't know what was wrong, but I felt lousy. You can read about my thyroid journey here. Excellent subject! It’s hard to believe that such a small organ can play so much havoc on life! I’ve been hyperthyroid for over 12 years (probably longer UN-diagnosed) and refused conventional treatments all this time, except for methamazol and propranolol. After refusing RAI, most doctors refuse to see me anymore, but one doctor has been with for 10 years allowing me to choose my path of medicine. 10 years ago, research in homeopathy didn’t seem to have an answer but recently I found that my thyroid was hyper because of mineral imbalances. It has made all the difference and eating is key to all health issues. Great job in sharing this info-hope mainstream soon gets it! Thanks for the great post! I reposted this via my Facebook page @Wraps by Brittney if you are interested in checking it out. Thank you so much! Sharon, are there any naturopaths in your area? I’ve yet to meet a conventional doctor who’s interested in much beyond treating the symptoms. If you can’t find someone local, try visiting Magdelena’s site. She has a number of different programs to help you work through healing options. I will certainly look into this. I have had 3 doctors including major blood work labs completed. nothing came up other than I am in menopause. I knew that. I will look onto Magdelena’s site and see what I can find. I appreciate your feedback. I have a question, I have had half of my thyroid removed, and from what I understand, the other half has been “killed” with synthroid so that they can regulate and control the hormones better, because apparently they can’t control how much hormone a half is going to produce…do these methods apply to someone that doesn’t have a thyroid to even claim? Or am I just a completely different set of problems…would love some help with this, doctors just don’t do anything…. To the best of my knowledge, completely non-functional thyroid has a different set of problems, and must, at least in part, be addressed with hormone replacement therapy of some sort. The foods will likely help, but cannot replace the function of a thyroid entirely. Ten years ago I was diagnosed with Hashimoto’s Thyroiditis. I was told it was genetic. To my knowledge then, I knew of no one in my family with it. I began asking questions of the family and discovered there was a family history. I was at the point where my thyroid was crowding out my bronchial tubes and my esophagus. I came close twice to passing out. Later I was told that had I done that, I may not have been able to be resuscitated. I was in a bad way by then. I have never liked taking pills, be they pharma or supplements…so I chose to begin using food as my pharmacy. I began by giving away or tossing all packaged foodstuffs. I learned about what types of food to eat when and how often. I also learned about the gift we’ve been given in the way of herbs and spices. Thanks for sharing your story, Dee. I just read another story yesterday from a facebook friend who talked about how her thyroid had gone back to normal after she had her amalgam fillings removed. It just goes to show that healing is possible. Did the swelling in your thyroid go down? Mine has been pretty much stable. I have not implemented Magdelena’s protocol, although I did purchase her Hashimoto’s course. Right now things are more crazy than normal, and I just haven’t been able to carve out the time I should to make more changes. I just recently got diagnosed with hashimotos and my doctor first put me on levothyroxine 25 mcg. I had to take it once a day and after the second week it made me feel horrible. I felt like I was going crazy, I couldn’t form sentences or sit still and my anxiety was through the roof. Then there would be days where I was so down I could not even get out of bed. I have recently changed my diet tremendously, and got put on synthroid 25 mcg but only take half of it once a day. Can you share what foods you started eating, and which ones you completely got rid of? Magdelena can offer much better specific one on one counseling to help you find what works best for you. 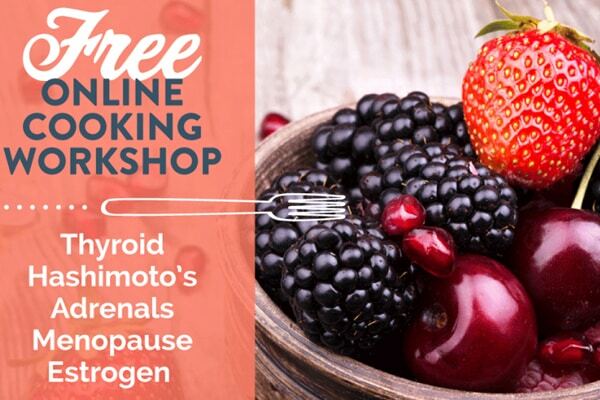 Selenium may help, but I highly recommend the book , “Hashimoto’s Thyroiditis: Lifestyle Interventions for Finding and Treating the Root Cause” to help you identify the triggers for your thyroid trouble and address underlying conditions. Hi I’m 10weeks pregnant and just found out i have hypothyroidism. Would your protacal work and be safe for me? It would be best to check with your healthcare provider before making any dramatic changes in your diet. Magdelena talks about good, nutritious food, so it should be safe, but it’s always best to be extra careful with baby on board. How do you get the Holistic approach blood labels? Would a conventional Dr even know what to do with the results? From my personal experience, local conventional practitioners don’t have a clue, even when I attempt to explain in detail what I’m looking for. I know other friends have been able to order specialized blood test through alternative practitioners like chiropractors for allergies and food sensitivities, so that might be an option. I recently had blood work done by my PCP. Everything came back normal but, I know something isn’t right with me. I meet nearly all the criteria for hypothyroidism. Where do I go from here? Just found this page, in peri-menopause with lots of symptoms (fatigue, weight gain, depression, mood swings, etc.) and would love the information from the webinar. Is it still available? Yes, it looks like she’s doing another set of sessions this week. Hi, i am Amaya.. i have hypothyroid for 4 years now and recently found that i have 2 nodules on my thyroid gland. Will natural remedy help me recover from hypothyroidism? Please help i am in my early 30’s..
Natural remedies may improve symptoms and help with management of your disease, but you should work with a trained healthcare provider to monitor the nodules and make sure they don’t become dangerous large or cancerous. I have been to several doctors in the past 3 years .Each time they say the tsh levels are normal but I have all the symptoms of hypothyroidism .And I have 4 people in my family (2 brothers ,a sister and my mother)with thyroid issues .But they will not listen to my concerns .I have gained weigh, have severe fatigue ,digestive issues ,dry skin,eye brows thinning ,severe bloating brain fog ,poor memory.and more .When I wanted to be referred to a specialist they deny me my request. I feel desperate to get someone to listen.I need someone that will listen.One doctor said it was my nerves and prescribed tranquilizers .What can I do to get theright help ?? Sometimes our medical system is not very helpful. Can you afford to see different doctors to get another opinion? Magdelena (the lady who wrote the post) is still taking clients and has helped a lot of people, but she’s certainly not the only option. Have you changed your diet to eliminate common trigger foods? Have you tried adding gut healing foods to your diet? Have you tried alternative practitioners and therapies? There are a ton of options, but you have to be your own advocate and keep trying things and asking questions until you find the help you need. Too many doctors only follow test results and don’t treat the whole patient. If your TSH is within normal levels but you still feel lousy, there’s a good chance that you’re having issues with T4 to T3 conversion, which means gut health is involved. You might find the gut healing diet I used a couple years ago helpful. In German New Medicine, thyroid issues are associated with feelings of helplessness. If there are personal things that need addressing, take care of those, too. Keep working until you find help. Also, TSH does not give a full picture. T3 and T4 levels should also be checked, and thyroid antibodies can verify Hashimoto’s thyroiditis.